Kara's Cupcakes are one of my favorite San Francisco indulgences. 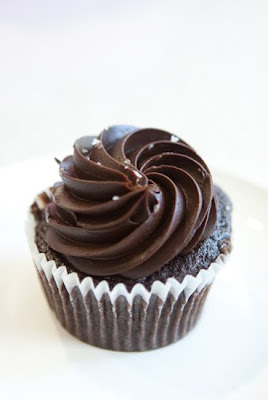 The fleur de sel chocolate cupcake filled with salted caramel and covered in a dollop of rich chocolate ganache is heavenly, and I'm delighted to try the pumpkin spice cake with cream cheese frosting! Oh my goodness...the fleur de sell might be the most heavenly cupcake! And fall flavored cupcakes? Divine! Happy Monday friend! Mmm, cupcakes! And chocolate at that! Just seeing and reading this made me so hungry... Pumpkin spice and cream cheese? My! that sounds good!! I love Karas! Ghiradelli Square one is my favorite. Oh my. I'm ready to fly to SF just to try this cupcake. It looks incredible.